***All preowned vehicles are priced plus tax title and license with O.E.M. wheels. Dealer adds if any are extra plus dealer preparation and reconditioning fees. Special finance may not qualify. While great effort is made to ensure the accuracy of the information on this site, errors do occur. Contact a customer service rep for full details. This is easily done by calling us at (832) 590-0380 or by visiting us at the dealership. 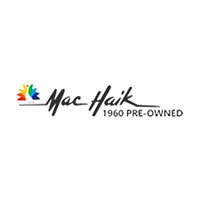 Mac Haik 1960 Pre-Owned	30.0105006, -95.4573004.